How hard could it be to paint a room? I’d been using paint and paintbrushes since kindergarten. I’d watched others painting walls on this mission trip and I was ready to join in. So, I grabbed a paintbrush and tray of paint and jumped in. I was making progress, slowly, on my wall (and also on my clothes with all the splatter I was creating). One of our youth group leaders, a construction contractor, came over to check on me. He patiently showed me some better techniques for doing the job. He showed me how much paint to put on the roller and how to remove excess before painting. He demonstrated how to roll in W and M patterns to evenly distribute the paint over the wall. Then, he taught me how to very patiently cut in around the edges with a brush. I would have gotten the job done on my own, but learning these few techniques made me more effective. I was able to paint with better quality and less mess, completing more walls than I would have on my own. How Effective Are Your Prayers? I’ve found similar lessons in my prayer life. I’d learned to pray as a child and knew all the basics. I’d listened to countless others pray over the years. Yet, when I sat down to pray on my own, I felt like I was stumbling through the words. I wondered if I was doing it right or if my prayers were working. Even though I was following the steps, I didn’t feel like my prayers were effective. Do you feel like you’re just spinning your wheels in prayer? Wonder if your prayers are working or if God is really hearing them? If you know the basics of prayer, but want your prayers to be more effective, these three keys will unlock the power of prayer in your life. I know this one may sound silly. You’re already praying, so why this suggestion to believe in prayer? Wouldn’t you already believe in what you’re praying? Maybe, or maybe not. Take a minute to really consider if you believe God will answer your prayers. Do you believe he’s listening to your prayers? Do you believe he has the power to address the great needs you’re presenting? When I began taking my deepest needs to God in prayer, I was skeptical. These were issues I hadn’t been able to solve and ones for which I couldn’t see any solutions. My pastor had suggested I pray for God to carry these burdens for a while and lift the weight and stress from my shoulders. Even though I began to pray for these, I wasn’t sure I really believed God would answer or could answer in these ways. To fill the gaps in my unbelief, I began to hope. As I started to pray, I hoped God was listening. I hoped God would care enough about my little life to step in. I hoped he could find a solution and would help in some way. Over the weeks and months I prayed these prayers, my hope turned into belief. I began to truly believe that God was indeed listening and had the power and willingness to answer. So, believe in your prayers. Believe that God is listening and cares about you personally. Believe that God has the power to do all things, even answer your prayers. And, when you struggle to fully believe, fill the gaps with hope. Hope that these things are true and keep praying until your hope turns into faith. Prayer isn’t a vending machine. You can’t simply enter your request and expect an answer or solution to be served up immediately. God’s in the business of forming relationships and shaping hearts, more than providing solutions. God wants you, and he’ll use your time in prayer to work in your heart. While it can seem like your prayer isn’t being answered, God is actually busy at work in your heart, shaping and molding you into who he wants you to be. God also has big plans. He works on a larger scale than we can ever comprehend. It may take time for him to orchestrate all the pieces that need to come together in order to fully answer your prayer. You may not see the action in the short-term, but have faith that God is at work in his way, in his timeframe, and to his glory. So, don’t give up on your prayers. Persist and persevere, even when your prayers seem fruitless. Believe that God is at work and keep praying. Don’t you laugh sometimes when kids think they have all the answers? A kid on the soccer team told the coach in a recent game, “I need to play in this position, not the one you assigned”. At 8 years old, did he suddenly have more knowledge, experience, and insight than the coach who’s been doing this job for many years? The coach suggested he sit on the bench a while until he was ready to play where the coach assigned. The coach had a plan for the whole team and needed each kid to fill specific roles where they were best suited. He knew the players’ strengths and how they’d work best together. So, who are we to know all the answers either? Do you know more than God, who has infinite wisdom and already knows your life from beginning to end? This one isn’t easy, but it’s the most crucial key to effective and life-changing prayer. Open your heart for God to do his transforming work in your life. Release your prayers to God’s will and wait expectantly for him to answer in his way, in his timing, and to his glory. In short, if you want to know how to pray effectively, surrender your heart fully to God. When you fully give your heart to God in prayer, opening yourself to God’s work in you and through you, only then will your prayers be truly effective. Know that God is listening and at work to answer your prayers. Hope for answered prayers until that hope turns into faith. Prayers are answered in God’s timing, in God’s way, and to God’s glory. Open yourself to God’s will – for your life and for those on your prayer list. Be willing to accept God’s answers and methods, giving up your own attempt to control. Fully commit your heart to God’s will, not yours. Thank you for so clearly outlining 3 keys to unlock the power of prayer. 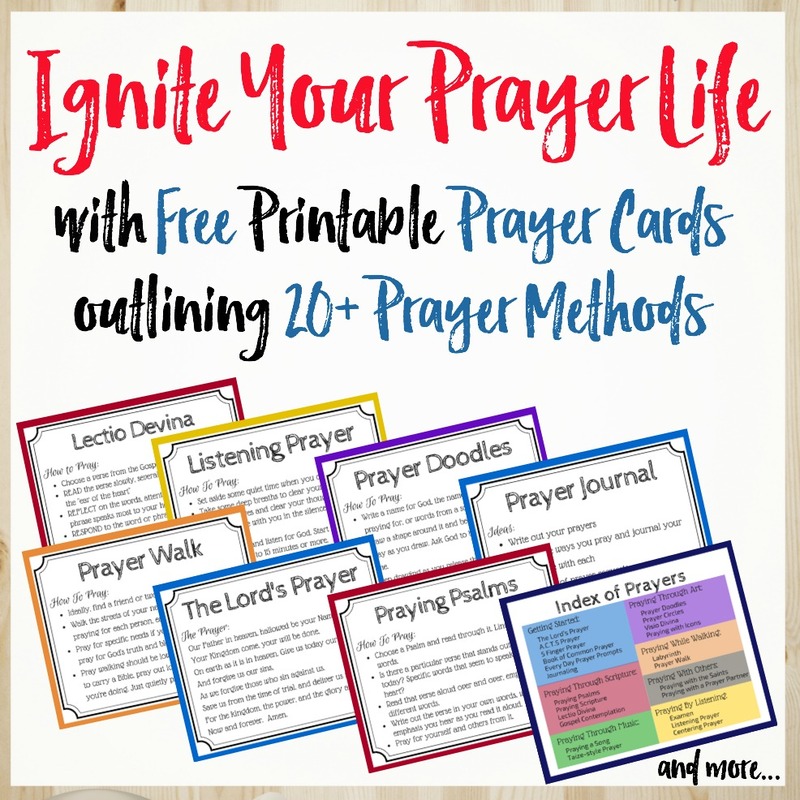 I love how you shared what you have experienced in your own prayer life. Thank you for encouraging me! I will share these three keys with a small group of ladies who I meet with weekly for intercessory prayer. Thank you for the 3 keys to unlocking prayer. It is real and helps.